This multi-function , table-top designed, non-impact page printer provides letter-quality text and all-points-addressable graphics. The 3916 is well suited for workgroups in medium-sized enterprises for printing business documents for internal as well as customer use. 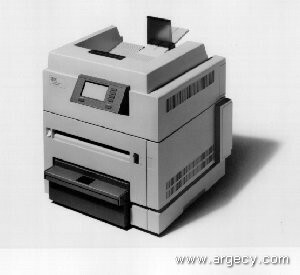 The 3916 is a low cost host system attached printer with a duplex printing option. Advanced print functions are implemented through the Intelligent Printer Data Stream (IPDS).